You’ll be pleased to learn that as of yesterday, I have a brand new phone: an iPhone 6S. It’s by no means top of the line. But it is new and, unlike my old phone, fast, filled with extra capacity, and capable of running every app I want and need. It’s also, I must say, a work of art. Weighing just a hair over five ounces, and barely a quarter of an inch thick, holding it in your hand is like holding a warm ray of sunshine (assuming sunshine also has rounded edges and is made of glass and metal). Of course, my new phone didn’t stay that way for long. Because immediately after completing my purchase, I walked out the door of the Apple Store and directly over to the phone case kiosk in the mall. Five minutes later, my beautiful, perfect, ray of sunshine was encased inside an Otterbox, an indestructible protective case within which my phone will live out the rest of its days, never again to be directly touched by man or beast. But that’s just the way it works. We want our phones to stay safe, so everybody keeps them in a protective case. Everybody, that is, except teenagers. They don’t have a case. I used to think this meant they were careless and dumb (not that I am ruling that out in a more general sense). But maybe, and unlike adults who are so concerned with what we might lose, teenagers are more interested in what they might gain. What I mean is that while my phone is certainly safe in its case, it comes at a cost. I never fully experience it in the way I’m sure Steve Jobs intended: sleek, shiny, perfectly balanced in my hand. The teenagers, on the other hand, do. Sure, sooner or later, their screens will probably get damaged. But until then, they will enjoy a beautiful run of perfect, as-it-was-meant-to-be, iPhone days. Working for yourself may not feel entirely safe either. Like a phone without a case, there’s a lot that can go wrong in a hurry. But – and I think this is an important but – the experience is one hundred percent real, every single day. There’s no boss, no irrelevant meetings, no mysterious company politics churning in the background that leave you wondering what might happen (or what just did happen). There’s just you and your expertise, looking for ways to package it, price it, explain it, and sell it to enough people who are willing to buy it. But scary or not, once you’ve been out here breathing the fresh air for a while, there’s no way you’ll ever let somebody put you back inside that phone case. Do you have sunshine in your pocket? Please don’t send me pictures. Does your phone have a case? Why or why not? How do you handle those scary, “maybe I should get a job again” days? My phone has a case because I have kids. Once when my childless younger cousin was over, she saw my phone and commented that she thought that the Otterboxes were clunky and ruined the sleek lines of the phone. Then one of my kids ran by and accidentally knocked my phone out of my hand. The phone survived the fall because of the clunky Otterbox and my cousin agreed that clunky was better than broken. Yes, kids are great in that way. When mine were little my rule was that my laptop would never come out of the case while any of them were awake! Your work and words, Michael, are helping people see they can lead way more fulfilling lives as a solopreneur, and truly make it on their own. Thanks! Thanks so much, Joanne, I really appreciate it. My beloved iPhone 5S has a battered Otter case, Michael. Better the case, I say, even if it’s a bit chunky and uncool. How could an old guy be cool anyway? 1. Unfortunately I keep it in the nightstand. 2. I wouldn’t dare. My entire bedroom is a mess. My house and my car is a mess. I coincidentally have a 9, 6, and 5 year old. 4. Sticking with the kid answer, I still have a full time gig and use this as extra money to send at least two to college. The two I like. And I’m also not one of those people that think having a job is safe. Much safer to have multiple “bosses” and not just one, which means I really admire the rest of you! Totally agree on the multiple bosses! 3. My phone is in a case because I can be klutzy. And I have a cat who climbs onto tables and knocks things off to get my attention. 4. Anytime I even think about getting a job outside the house, I remind myself that I still have to sell; I have to sell ME to land that interview and job. And then play by their rules. No thanks. 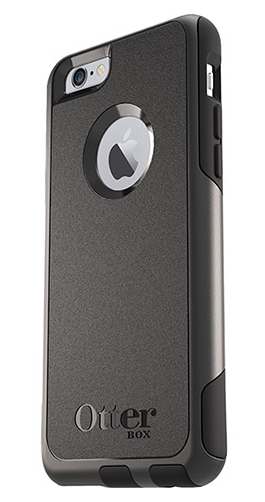 I’m curious if anyone has done a study to correlate the use of phone cases by teenagers and who paid for the phone…? My son would never use a case because he didn’t like the feel of them. This week he had to replace his old phone, and he had to pay for it. Surprisingly, his new Galaxy S9 came home in an Otterbox case. Yes, they definitely pay more attention when they are paying for it! Yes to sunshine and yes to a case. Looking at how banged up the case is (not a totally clunky otterbox, more sleek) I’m glad. On those days when I want to find a job (which I’m happy to say are few and far between compared to a few years ago!) I remember why I chose this life – to do meaningful work, make “enough” money and head to the beach on a Wednesday afternoon in mid July without having to report in to anyone! That pretty much takes care of wanting to find a job. I hear you loud and clear on that, Stacey! Just spent a few days with a relative who is juggling his two weeks vacation per year in trying to get time off. Hi Denise! That looks pretty cool. Might be my next purchase. I just got the iPhone 6S Plus a few months ago…and having switched from Galaxy to This model ( had an iPhone 3 for a while )… it is amazing. I truly love the large format ( I was using the Samsung Edge 7 – about the same size ). I usually need extra battery power during the later part of the day, especially while traveling for business. So, I have adopted the Mophie power cases, and I will never be without a Mophie. It’s a fabulous addition to the Galaxy and the IPhone. Lovely design, great protection ( lots of falls, and never a cracked screen in my many years since the flip phone days of Motorola StarTac! Love holding the iPhone without a case, it is a work of beauty. But practically speaking, the iPhone is super critical infrastructure for our daily business, Authenticator, communications tool, messaging is uber important…without it, I am “out of business “ – so keeping it protected and powered is truly important for me, and I don’t see it as an option to use it “ naked “. Hi David! I find the large sizes too big for me (and my pockets), but I can see the benefit, as I often have to squint or stretch the screen to see things!